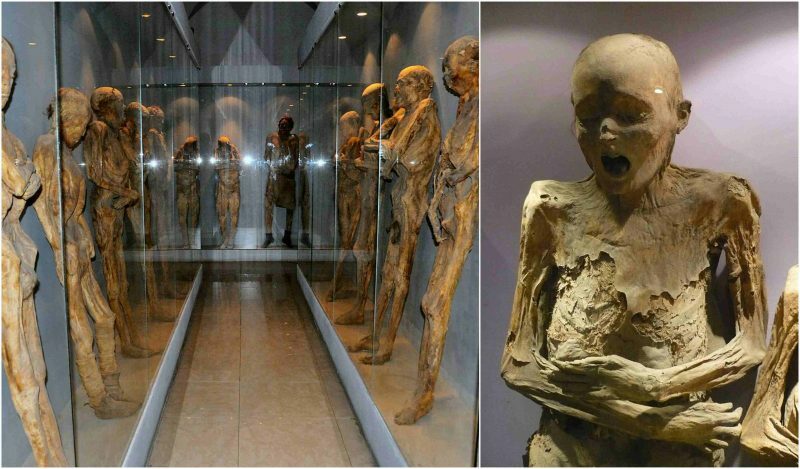 The Mummies of Guanajuato are a number of naturally mummified bodies interred during a cholera outbreak around Guanajuato, Mexico in 1833. 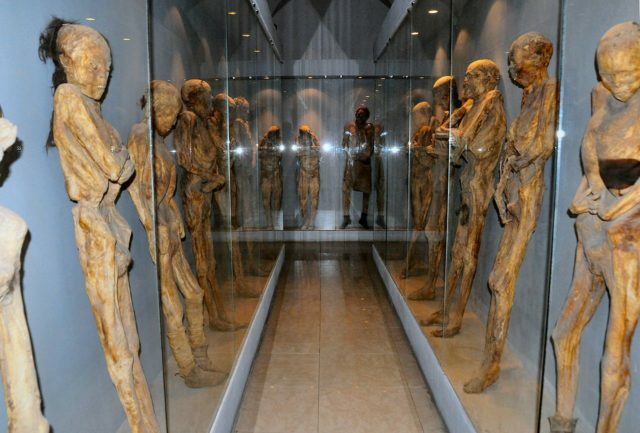 The mummies were discovered in a cemetery in Guanajuato, making the city one of the biggest tourist attractions in Mexico. The bodies appear to have been disinterred between 1865 and 1958. During that time, a local tax was imposed requiring relatives to pay a fee to keep their relatives interred. If the relatives were unable or unwilling to pay the tax, the bodies were disinterred. Ninety percent of the remains were disinterred because their relatives did not pay the tax. Of these, only two percent had been naturally mummified. 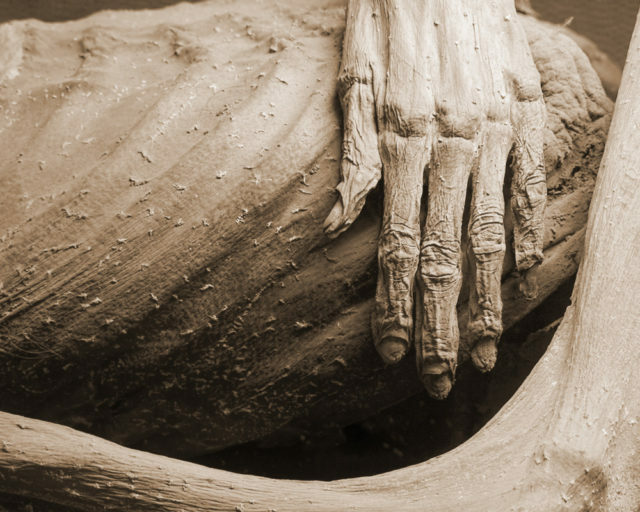 The mummified bodies were stored in a building and in the 1900s began attracting tourists. Cemetery workers began charging people a few pesos to enter the building where bones and mummies were stored. 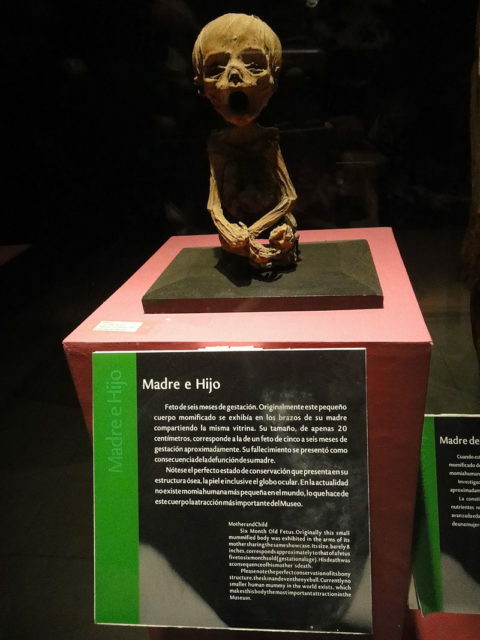 This place was turned into a museum called El Museo De Las Momias (“The Mummies’ Museum”). 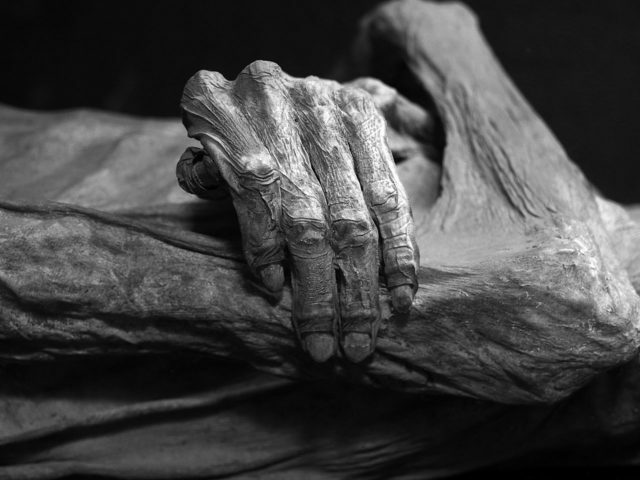 A law prohibiting disinterring was passed in 1958, but this museum still exhibits the original mummies. Due to the demands of the epidemic, more cemeteries had to be opened in San Cayetano and Cañada de Marfil. Many of the bodies were buried immediately to control the spread of the disease. It is thought that in some cases, the dying may have been buried alive by accident, resulting horrific facial expressions. however, perceived facial expressions are most often the result of postmortem processes. One of the mummies who was buried alive was Ignacia Aguilar. She suffered from a strange sickness that made her heart appear to stop on several occasions. During one of these incidents, her heart appeared to stop for more than a day. Thinking she had died, her relatives decided to bury her. When her body was disinterred, it was noticed that she was facing down, biting her arm, and that there was a lot of blood in her mouth. 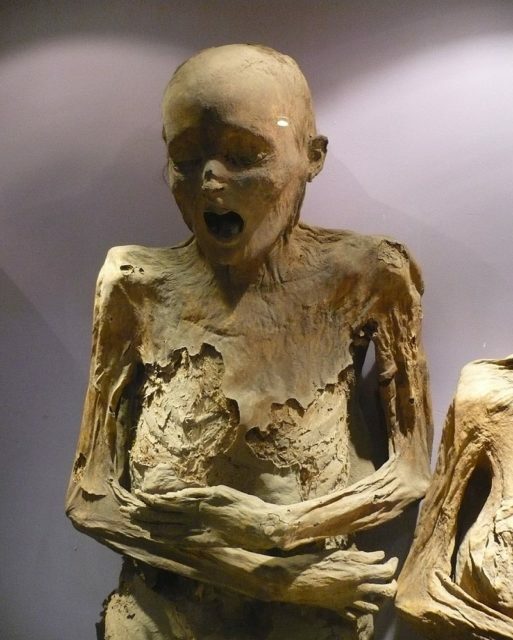 The first mummy was put on display in 1865. It was the body of Dr. Remigio Leroy. The museum, containing at least 108 corpses, is located above the spot where the mummies were first discovered. Numerous mummies can be seen throughout the exhibition, of varying sizes. 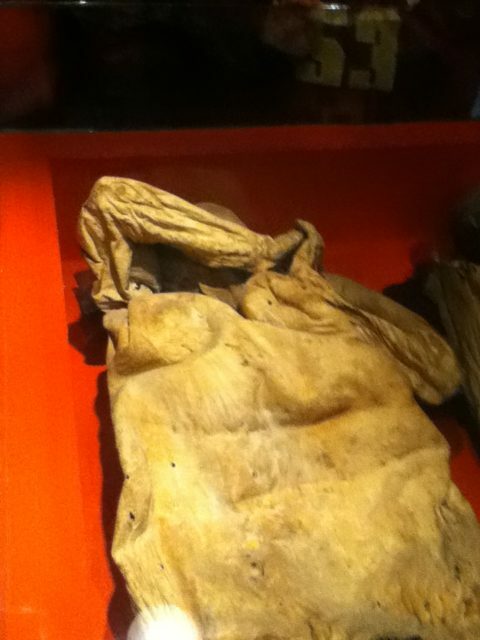 The museum is known to have the smallest mummy in the world, a fetus from a pregnant woman who fell victim to cholera. Some of the mummies can be seen wearing parts of the clothing in which they were buried. The mummies of Guanajuato have been a notable part of Mexican popular culture, echoing the national holiday “The Day of the Dead” (El Dia de los Muertos). In the late 1970s, filmmaker Werner Herzog took footage of a number of the mummies for the title sequence of his film Nosferatu the Vampyre in order to conjure a morbid, eerie atmospheric opening sequence.